As a mom, I appreciate products that can make my life that much easier, and for that matter, can serve multiple purpose. From six months, when Mason got his first tooth, to his current 14 months, Cheeky Chompers is something that has helped Luke and I during feeding and teething— yup its possible parents. 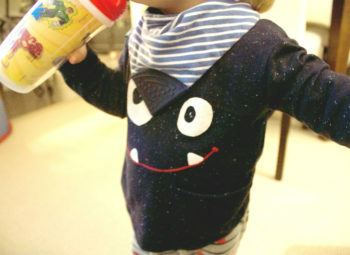 Neckerchews are the cutest little teether bibs ever…. Not only does it help the constant biting and screaming that comes along with teething (the joy) it absorbs everything while staying around there neck like a cute little bandana…. It’s called teething with style folks! Just clip the back like a bib and give them the teether at the bottom to go nuts on. Bye bye goes the worries of them throwing teethers on the ground and constantly having to wash them. The issue has been solved. They are great for when you are going out and our little one is in a stroller or car seat. 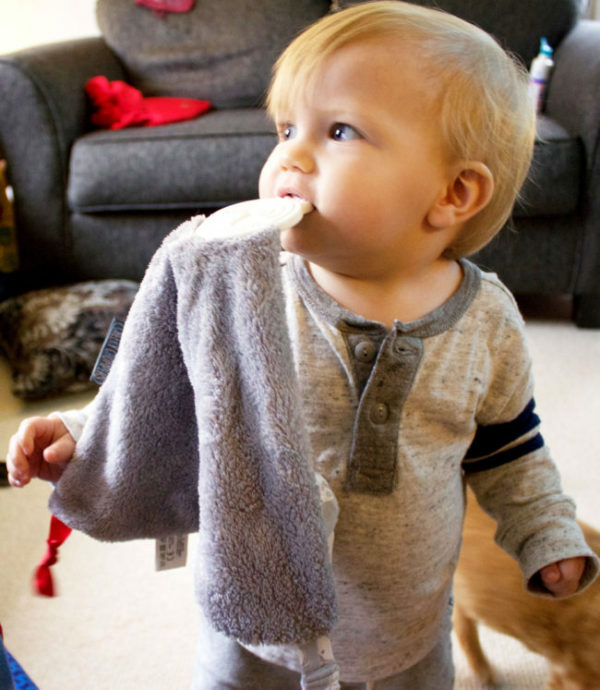 Secondly, The Chewy & Co Comfortchew is LIFE— It’s a teether just like the Neckerchew but this one serves also as a security blanket and attaches to anything you want it to. It can also go around our little humans wrist so they always have it near by for cuddling and chewing. Both attach to items such as stroller, car seat and little one so there is no losing or throwing things overboard. Though this product doesn’t say it’s for feeding I definitely use it for that as well, and let me tell you it does the job compared to half the bibs I have received. Click Mason’s favourite’s below for more info!